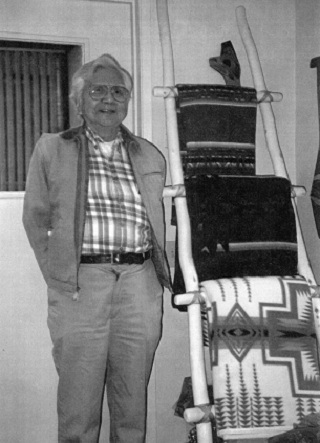 (Top) Ray Cook at the Jamestown Tribal Center in Blyn, WA. (Bottom) Walt Kardonsky, Lillian Kardonsky, Leo Kardonsky, Ray Cook (kneeling). 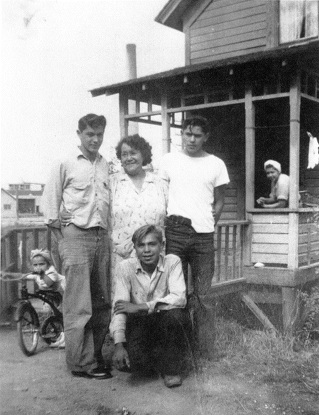 Ray Cook’s mother and father were full Indian and he remembers knowing his grandmother Nora Cook when he was growing up. From what he has heard she lived to be over 100 years old. Ray Cook passed away in 2005.